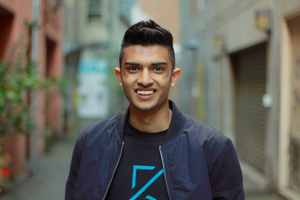 This week, in celebration of National Science Week, Jeziel caught up with 17-year-old digital expert Taj Pabari. There’s a couple of great words one could use to describe Taj and ‘Genius’ is pretty high up the list, along with ‘prodigy’. Taj’s business story began at age 11, when he embarked on his first social enterprise. After spending years selling things in the schoolyard during lunch, he founded a blogging website for children. Three hundred articles later, the site was sold and he began working on his next venture. In 2014, Taj founded Fiftysix Creations, a DIY tablet kit for kids which encourages creativity. The organisation now runs workshops in schools helping to ignite the creative spark in kids. What is it like caring for a child with OCD?